This competition has now ended - thank you so much to everyone who got involved! Sign up to our newsletter to find out when our next competition is happening. 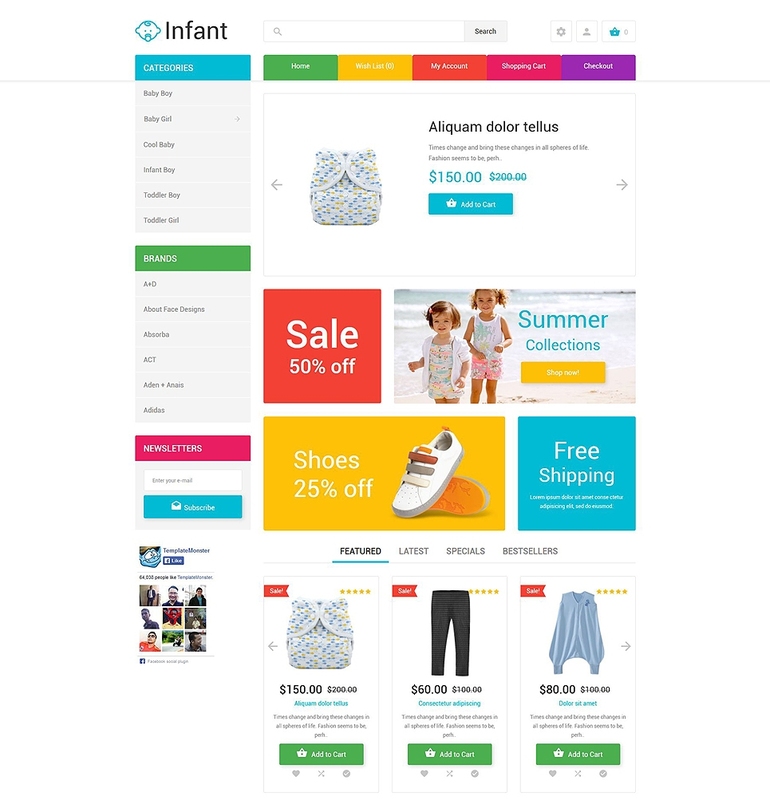 Recently our partners from TemplateMonster released their 500th OpenCart template. To mark this special occasion, they have decided to give away SEVEN premium OpenCart templates to our loyal community. If you want to refresh the design of your e-store, you may get an exclusive chance to do it - totally free. Read on to learn terms and conditions of the giveaway. You have an opportunity to win ANY OpenCart template from the TemplateMonster inventory comprising over 500 options at present, without any exceptions at all. It can either be a brand new design or one released, say, half a year ago. Consequently there will be 7 lucky winners, and each one will have one OpenCart template that suits their taste and business needs. As winners will be picked at random, keep your fingers crossed! Follow simple guidelines mentioned below to participate in the TemplateMonster giveaway. Browse OpenCart templates following this link and choose ANY design you like. To narrow down your search among over 500 templates, sort them by categories, features, styles, popularity, OpenCart & Bootstrap versions, date, and color. Include your real email address, as it will be used to deliver to you a message about your winning and for no other reasons, like spam or promos. As you see, three easy steps can bring you a premium theme, so why don’t you try your luck? The giveaway will be held within a timeframe from July 16th to July 23rd, so participate in it NOW to make sure you don’t miss the deadline. Winners will be announced and contacted on July 27th. TemplateMonster is renowned for its large and diverse collection of premium themes based on different CMS and eCommerce platforms. Over the last 13 years, the company has built a template base of over 30,000 options suitable for any possible business niche. Today, TemplateMonster is unmatched with respect to the size of their inventory. Regarding OpenCart themes, the company has been releasing them since 2012. As we’ve already mentioned, it has developed over a five hundred themes powered by our engine since then. Being in line with modern trends, their designs are optimized to mobile devices, function properly in contemporary browsers, and feature a clean, SEO-friendly code. All the TemplateMonster themes are presented on the official OpenCart extensions marketplace. As an example, check one of the most advanced OpenCart templates from the TemplateMonster assortment by clicking here. Are you a lucky person? Today, you will have a chance to figure it out. This blog post has been sponsored by Template Monster. Please note that whilst OpenCart recommends Template Monster, all views and opinions in this blog post belong to Template Monster and are not those of OpenCart. OpenCart is not responsible for any opinions or claims made in this blog post. By entering this competition, you give OpenCart permission to provide Template Monster with you email address - this will be used to contact you if you win, and not for marketing purposes.